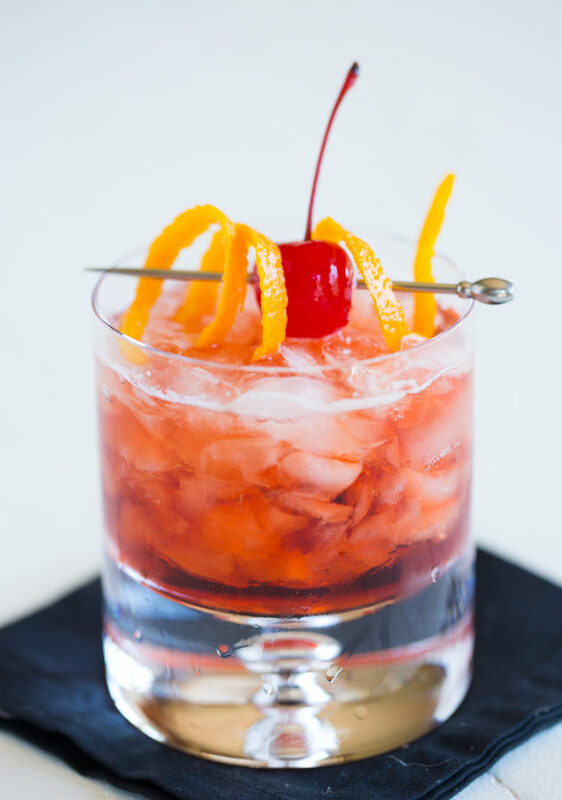 A boulevardier is a person of great wealth and one with a keen fashion sense. Shake the bourbon, Campari and sweet vermouth in a cocktail shaker with ice. 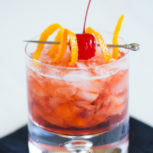 Garnish with the orange spiral and maraschino cherry, and serve.